This is the story of Captain Robert M. Trimble, an American hero of World War II, who laid his life on the line to help his fellow Americans to freedom, along with other expatriates stranded in Eastern Europe. By the fall of 1944, Soviet forces had pushed the Nazis out of Russia. As the front line rolled across Poland, the prison camps of the Third Reich were discovered and liberated, including slave labor and POW camps. In their tens of thousands, the suffering inmates were set loose. The Soviets refused to help the freed prisoners, rejecting offers from the US to help get their men out. Foreign slave laborers and POWs were left to wander helplessly, starving, sick and dying. Something had to be done to save the lost American servicemen from starvation and death. With US/Soviet relations in a bad way, they would have to go under cover. The OSS (forerunner of the CIA) swung into action. They picked out their only foothold in Soviet-occupied territory: the tiny US detachment at the air base at Poltava, Ukraine. A tiny dot of freedom in a sea of communist red, it would be the base for the covert rescue mission. The man they picked for the mission was veteran bomber pilot Captain Robert M. Trimble. With only a crash course in secret agent fieldcraft, Captain Trimble took on a dangerous mission, outwitting and courageously facing off against the devious might of the deadly Soviet security force, the NKVD. He succeeded in smuggling a thousand lost souls to freedom, including American POWs, foreign slave laborers and concentration camp inmates. Trimble’s story takes us into the little-known world of Poland in the wake of Soviet re-conquest: a war-ravaged land where life was cheap and atrocities occurred almost as a matter of routine. A series of hair-raising adventures, with seat-of-pants flying, encounters with rampaging Cossacks, NKVD spies, flights piloted by vodka-soaked Russian airmen, glamorous NKVD seductresses, and lonely snow-swept forest vigils. A dramatic, emotional roller-coaster, with Robert suppressing his yearning to go home to his wife and the baby daughter he had never seen, haunted by memories of his own father, and scarred by the traumas of war. 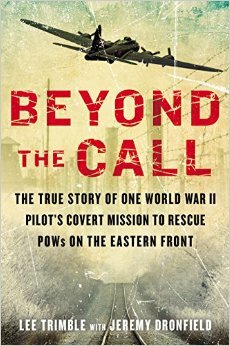 "Snappy and cinematic, Beyond the Call is a gift, an untold story from those last days of WWII in Europe when the unthinkable became real—when our ally had turned against us, when our POWs were left to die, and when a veteran pilot would receive a harrowing final mission—to fly against the might of the Soviet Union." "A little-known set of moving adventures, well-researched and presented." "Vivid and engaging, Beyond the Call is partly a story of one officer’s guile and bravery in the face of forces much larger and more powerful than himself. But is also a moving and appalling tale of the full horror of World War II’s last year on the Eastern Front." "Beyond the Call is the brilliantly told, fast-paced true story of a remarkable young man. Deceived by his superior officers, he found himself in a place where danger abounded and life was cheap but, drawing on a courage he hadn’t known he possessed, he began his assignment. Nerve-wracking, informative, yet profoundly moving, Beyond the Call is a truly inspiring book." "A riveting, tense, and ultimately satisfying account of his father’s heroic effort." 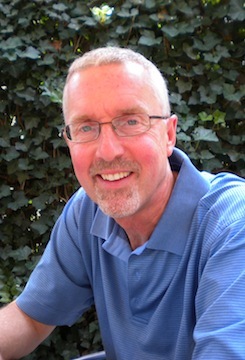 "a riveting, tense, and ultimately satisfying account of his father’s heroic effort. " "An inspiring read and well-researched, to boot; Trimble's story shows that even in a great global war, one regular soldier can make a difference." "Working with author Jeremy Dronfield, Lee Trimble has produced a highly readable account of his father’s activities, a fitting tribute to a brave and honourable man"
"The inspiring tale of a hitherto unknown true hero – a story worthy of a Hollywood movie." "It's captivating stuff, detailing one man's courage in a seemingly impossible situation - a brilliantly told story of a true unsung hero." "Captivating stuff, detailing one man's courage in a seemingly impossible situation - a brilliantly told story of a true unsung hero." "Beyond the Call is an inspiring but uncomfortable read. Inspiring because it shows an American hero and patriot bravely performing his duty under the most difficult and dangerous circumstances. Uncomfortable because it shows our hero being tested to the limit and beyond, seeing about the worst the human race can offer, while getting a good deal less than the support he needs and deserves from his superiors." "An inspiring story of a hitherto unknown true hero ." "Dramatic and well-researched, it is certainly worth reading. " "Compelling inspiring true story of an American hero who laid his life on the line to bring his fellow men home to safety and freedom ." "This book is an enjoyable, well-researched account of Trimble’s heroic efforts, but I think it is more than that. Far removed from modern battlefields, it can provide today’s leaders with valuable lessons." "The meticulous primary and secondary research, which includes a well-apportioned photo collection and maps, combined with strong storytelling, reveals a ripping yarn previously locked in the hearts of a few men and casts the reader into the murky territory left in the wake of combat on the Eastern Front." "The meticulous primary and secondary research, which includes a well-apportioned photo collection and maps, combined with strong storytelling, reveals a ripping yarn previously locked in the hearts of a few men and casts the reader into the murky territory left in the wake of combat on the Eastern Front…This book is an enjoyable, well-researched account of Trimble’s heroic efforts, but I think it is more than that. Far removed from modern battlefields, it can provide today’s leaders with valuable lessons." Turkish rights in Rachel Kelly’s Walking on Sunshine: 52 Small Steps to Happiness. 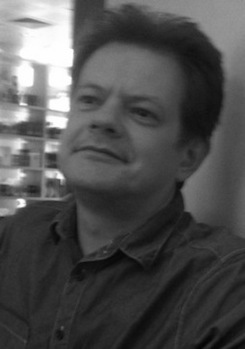 Chinese rights in Angus Konstan’s Jutland 1916: Twelve Hours That Decided The Great War. Chinese rights in Beyond the Call: The Incredible True Story of One American’s Life-or-Death Mission on the Eastern Front in World War II by Lee Trimble and Jeremy Dronfield.